Trish Greenhalgh is currently Dean for Research Impact at Barts and The London School of Medicine and Dentistry. In discussion with Managing Editor Sierra Williams she delves into the nature of academic impact and the remit of her appointment. She finds that many academics still have a naïve and overly rationalistic view of how their work might link with policy. Drawing on the applied science of telecommunications she also discusses an ‘ex ante’ approach where relevance is considered from the research design phase. How are universities responding to the ‘impact agenda’ and how does this correspond with how academics have approached impact-generating activity? Impact has risen up the agenda because of the Research Excellence Framework (REF), and we’re all awaiting the results of that exercise. I don’t know of any university that doesn’t now have a named person with ‘impact’ on their job description. But there is great variability in who takes on the impact portfolio. In some, it’s seen as a ‘communications’ issue. In others, it’s ‘entrepreneurship’ and in others ’training and development’. Of course, impact is all these things and more. We need to be clear that impact isn’t a single dimension. Developing industry partnerships, producing patents and generating spin-outs is a very different kind of activity from linking with local communities or ensuring that the perspective of patients is taken account in the design of clinical trials. Among the academic community there’s a spectrum of response – from whole-hearted enthusiasm for what some people call ’third stream’ activities to equally deeply-held opposition. To some extent, it was ever thus. Back in 1939, Abraham Flexner published a paper called ’The Usefulness of Useless Knowledge’ [pdf] arguing that the way to generate socially useful innovations, especially in science, is to leave academics alone in their ivory towers to think clever thoughts unencumbered by the worldly pressure to generate concrete benefits. The core of his argument was that there is no simple, linear link between a particular piece of academic research and a downstream societal benefit. As he put it, “Science, like the Mississippi, begins in a tiny rivulet in the distant forest. Gradually other streams swell its volume. And the roaring river that bursts the dikes is formed from countless sources”. But even 100 years ago, there were academics who were externally facing and more interested in finding applications for scientific discoveries than in contributing to building the academic knowledge base. The ‘Mode 1’ scientific discoveries of James Clark Maxwell (in the mathematics of magnetism and electricity) and Heinrich Hertz (in electromagnetic waves) were of interest to Marconi because he saw their potential for informing the applied science of telecommunications. Flexner was scathing in his dismissal of Marconi, who he described as an academic of limited intellect who “picked other men’s brains”. But an alternative argument is that Marconi was a brilliant applied scientist and an early protagonist of what we would now call ‘Mode 2 knowledge production’ – collaborative interactions between academics and non-academics to generate knowledge that is useful to society. How do you think the rhetoric on academic impact has changed over the past five years? Rhetoric is the art of persuasion. I’m pleased to see lively debate continuing both within the academic community and beyond it on the extent to which the work of university sector should be driven by society’s needs (and, some say, by the vested interests of political and commercial stakeholders) as opposed to rising above these very needs and interests to maintain the purity of the academic endeavour. I think what has changed is the growing perception among critical academics that higher education has ‘sold its soul’ to (or, perhaps, had its soul stolen by) a powerful alignment of industry and government that is wrongly conflating academic purpose with technological innovation and wealth creation. That narrative sees the privileging of the STEM subjects and the starving of the arts and humanities as a sinister by-product of the ‘impact’ agenda. But whilst I sympathise with those arguments, I think we need to acknowledge how much positive benefit (economic and societal) has come from intersectoral collaborations, facilitated by government, between industry and academia. We should also acknowledge the huge success of applied research programmes funded by the National Institute of Health Research through multi-sector partnerships between academics, NHS clinical services, patients and the public. What are some of the big gaps that need to be addressed for how higher ed recognises the links between research, policy and practice? Many academics in the scientific disciplines have a naïve and overly rationalistic view of how their work might link with policy. If they think about it at all, they assume a ‘knowledge-driven’ model of impact – that is, that their discoveries will be impelled into practice and policy through their sheer innovative force when someone magically places a copy of their clever paper on the desk of the relevant policymaker or industry magnate. This rarely happens! 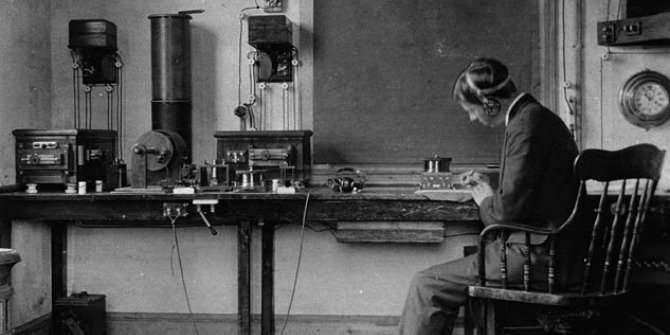 Even Maxwell and Hertz needed the likes of Marconi to champion their discoveries and build the relationships with real-world movers and shakers that were needed before concrete applications emerged. It has been known for years that close and continuing relationships between academics and policymakers are the cornerstone of getting research into policy. This isn’t a linear relationship where policy ‘receives’ the findings of research. On the contrary, these relationships should be ‘ex ante’, informing the design of research to ensure that it will be of relevance to policymakers. The evidence base on third stream activity by universities gives us many tips on how better to package our academic outputs to make them accessible to non-academic partners, but it also suggests that we still have much to learn about the science of ‘knowledge brokering’. The medical sciences have for years contested blurred boundaries between research and industry (some might say the negative sides of commercial collaboration) – what lessons have the community learned from this? I’ve addressed this question in a paper I published with colleagues recently. When I first became interested in evidence-based medicine in the early 1990s, it was relatively easy to spot a research study (say, testing the efficacy of a drug) that was contaminated by the vested interests of the drug’s own manufacturer. Today, the drug industry (whose contribution to improving health and relieving suffering has been considerable) has penetrated academia – and academia has penetrated the drug industry – in a way that makes it much harder to identify truly unbiased studies. We now have a situation in which almost all the major trials of drugs are funded by industry; many senior academics have paid consultancies on the boards of such companies – and they also have leading roles in the development of government policy and ‘evidence-based’ guidelines. All this interpenetration can be framed as worthy ‘Mode 2’ connection-building, but questions also need to be asked about the feathering of personal nests by industry backhanders. You’ve also worked at the interface of different disciplines for years. Does interdisciplinary familiarity play a role in developing broader impact? Undoubtedly. Anyone who does interdisciplinary research knows it’s a conflict sport, since the definition of an academic discipline is a field where we all share the same assumptions and engage in arguments about how to build on those assumptions. Working with people outside our discipline means our collaborators don’t share our assumptions, which means that progress at the beginning is much slower and intellectual conflict may be high. But as most of us have discovered, that very intellectual conflict is often what produces new framings of a problem, new theories and new empirical approaches – as well as exciting new findings that can revitalise a flagging field. The same is true when we work in trans-disciplinary initiatives with non-academics, whose practical, experiential and contingent knowledge of a shared field is complementary to our own theoretical and abstract knowledge. There is an early phase of mutual frustration – but if this is properly managed through skilled facilitation, the outputs not only generate innovative practical applications but also feed back to inform new avenues of academic inquiry. But when this conflict is badly managed (and when some or all parties fail to see it as inherent to the process of trans-disciplinary engagement), it becomes personalised and what began as exciting trans-disciplinary programmes can end in acrimony. If I were to identify a priority area of further study in research impact, it would be the governance and facilitation of intersectoral projects and programmes. Trish Greenhalgh is Professor of Primary Health Care and Dean for Research Impact at Barts and the London School of Medicine and Dentistry, London, UK. She studied Medical, Social and Political Sciences at Cambridge and Clinical Medicine at Oxford before training as an academic GP. She leads a programme of research at the interface between the social sciences and medicine that seeks to celebrate and retain the traditional and the humanistic aspects of medicine and healthcare while also embracing the unparalleled opportunities of contemporary science and technology to improve health outcomes and relieve suffering. Two particular interests are the introduction of technology-based innovations in healthcare and the complex links (philosophical and empirical) between research, policy and practice. She is the author of 220 peer-reviewed publications and 8 textbooks. She was awarded the OBE for Services to Medicine by Her Majesty the Queen in 2001 and made a Fellow of the Academy of Medical Sciences in 2014.